Your next workstation could pack as many pixels as today's leading 8K televisions. The Video Electronics Standards Association (VESA) has approved a new Embedded DisplayPort (eDP) 1.4a standard that will support 8K resolution screens. New all-in-one computers and mobile devices, including laptops, will start supporting the higher resolution as early as 2016. The new eDP 1.4a standard will replace the 1.4 standard that was released in early 2013. eDP 1.4a enables a "higher video data transfer rate for increased panel resolution, greater color depth and higher refresh rates." 8K displays will support a resolution of 7680 X 4320 pixels. For comparison, Apple's current iMac with 5K Display currently drives more than 14.7 million pixels on its 5120 X 2880 screen on the iMac's 27-inch panel. That gives the iMac with 5K Display a pixel density of 218ppi. For comparison, a similar sized panel 8K display will give you a 326 ppi while a standard 1080p display offers just 82 ppi. There is a lot to get excited about with an 8K panel on a high-end laptop, a business mobile workstation, or a portable gaming rig. More pixels will make images and videos that are optimized for the resolution look crisper, and the better color depth and higher refresh rates will bring more vibrant, lifelike imagery to your screen. The downside is in order to power all that pixels, 8K displays can come at a cost to battery life. Huawei handset product line president Kevin Ho told TechRadar that in mobile devices, like smartphones, the biggest drawback of a high resolution display is battery life, and that's the reason why we're seeing 2K panels on phones instead of 4K. "4K requires a lot of power, so if you use it you need to make compromises," Ho said of phone displays. "A 4K display on a smartphone will give you half a day of battery life, but a 2K display can give you over a day of usage from a single charge." To combat against high power drain, eDP 1.4a employs a partial update mechanism for Panel Self Refresh that was introduced on the 1.4 standard. "Partial update enables the system video processor, or GPU, to update only the portion of the display that has changed since the video frame update, further saving system power," VESA said. 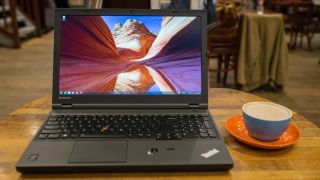 Similarly, on laptops, mobile workstations, and even tablets for those who prefer a hybrid two-in-one form factor device, having an 8K panel could increase battery drain. For general business computing where you don't need the performance that an 8K panel delivers, especially if you're primarily living inside Microsoft Office and a browser window all day, an 8K panel could inhibit mobility as you'll have to recharge frequently or remain tethered to a power outlet. Check out the best laptops of 2015.